Thinking of buying a beach house on Long Beach Island? Fortunately, there are numerous towns and beachfront properties to choose from when purchasing a LBI abode. 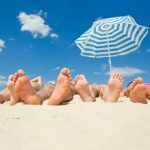 While finding a beach house on Long Beach Island shouldn’t be a problem, finding the right one can take quite a bit of researching and house hunting. Before you begin the search, make sure you have a solid understanding of your budget and needs, as well as a thorough understanding of the financial and weather-related risks involved. You’ll also need to enlist a qualified Realtor who has ample experience buying and selling real estate on LBI. Fortunately for you, our team has over 25 years real estate experience! As you begin your LBI beach house hunting experience, make sure to keep these top 5 considerations top-of-mind throughout the home buying process. Whether its hurricanes or nor’easters that threaten LBI, ensuring that a coastal home is as weather-proof as possible is priority number one. Otherwise, your hard-earned investment could be destroyed due to severe weather. If the area has a high flood risk and/or plenty of storm surge potential, you should consider purchasing a raised beach house. Fortunately, Long Beach Island offers everything from beach bungalows, raised water front properties, condos with water views, duplexes, and multi-family properties. If your LBI beach house isn’t your primary home, you may need some sort of property management service to take care of the house while you’re gone. Our team has many reputable referrals, rest assured! If your beach house is located in an HOA community, the HOA may take care of much of the property maintenance. Fees for these services are disclosed in the property listings. 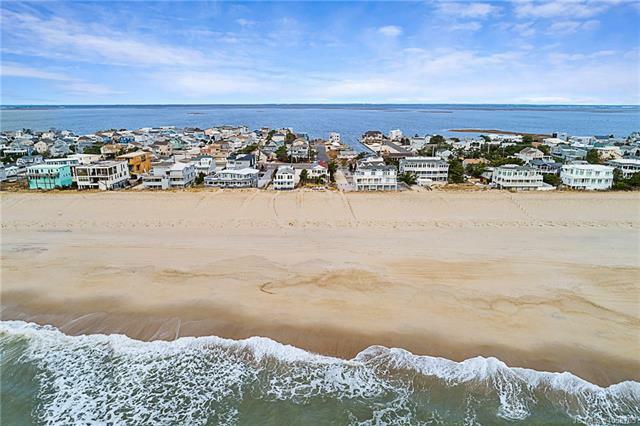 For many, proximity to the Atlantic Ocean is the single most important consideration when buying on Long Beach Island. Of course, you’ll need to weigh the pros and cons of waterfront living. The beauty of Long Beach Island is that you can purchase homes with ocean views or bay side views so you would need to determine what would suit your needs better – oceanside or bayside living. Either way, flood insurance rates can be a determining factor. Our team is confident we can assist you in finding the best possible rates available, to help ensure you are able to purchase your dream home. Chances are, one of the reasons you’re buying a beach house on LBI is to enjoy the great outdoors. So be sure to assess the beach home’s outside living space. Do you have a patio, porch, balcony, or even rooftop decking? How about an oceanfront view? Is the area peaceful or crowded? Does the house have a pool or outdoor recreational space? Whatever aspects are important to you, make sure the beach house checks all of your outdoor living boxes. Do you intend to rent out your beach house to LBI visitors when you are not using your beach house for personal use? If so, it’s important to assess whether or not the coastal home will be a good return on your investment. With over 25 years experience in assisting buyers and sellers, we have a lot of knowledge in how to determine or examine the ROI of a Long Beach Island property. Ready to move to your LBI dream beach house? 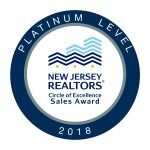 Contact us at Team@NoPlaceLikeLBI.com to discuss current market conditions on Long Beach Island and see if we can find the LBI home of your dreams and get a great deal in the process!